We thought it would be a good idea to put together a web log so that people could read more about what we do and what it is like working for Everything Dinosaur as well as providing an opportunity to discuss dinosaur and prehistoric animal related news stories and topics. For teachers, home educationalists, mums and dads, lots of useful dinosaur and fossil themed teaching resources plus free downloads. The Dinosaur Society, dedicated to promoting an interest in everything that is dinosaur related. Prehistoric Times, a magazine for dinosaur models, dinosaur artwork, fossils and news on dinosaur research. If you want to explore the Jurassic coast (Lyme Regis, Dorset) Brandon Lennon, with over 20 years’ experience of conducting fossil walks comes highly recommended. We get asked about places where you can purchase fossils, here is a link to Brandon Lennon’s Lyme Regis based fossil shop. 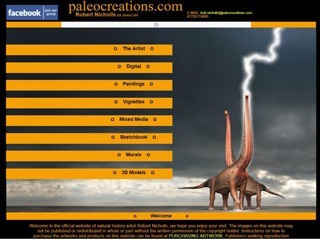 The website of Mark Witton – palaeontological art and consultancy. A website that highlights the artwork of the British artist John Sibbick. Todd Marshall paleo-illustrations and paleo-art. The official website of natural history artist Robert Nicholls. Talented palaeoartist and dinosaur illustrator Fabio Pastori. Just Parents is a British based parent and parenting community website providing advice, help, parenting tools and resources. Rare resource.com have a rich cache of dinosaur information, from Abelisaurus to Zuniceratops, complete skeletons of dinosaurs which have become a part of world culture, and have remained consistently popular, especially among children. A range of dinosaur and prehistoric animal themed games to play.